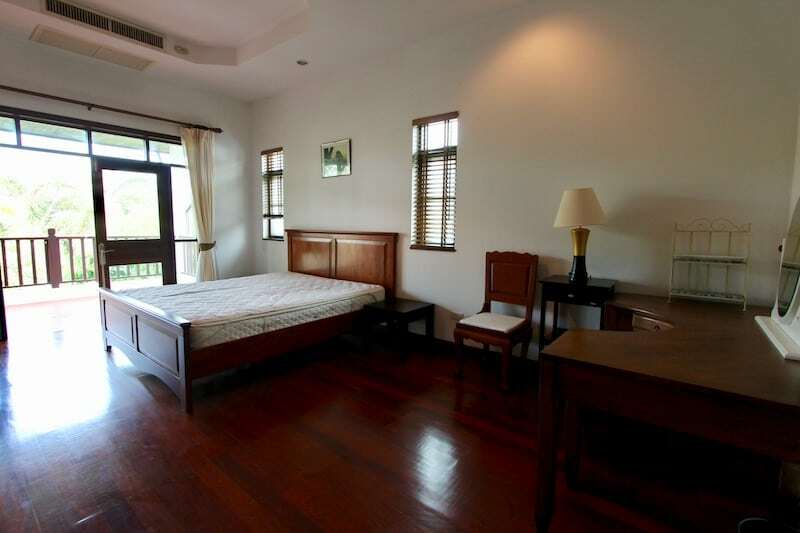 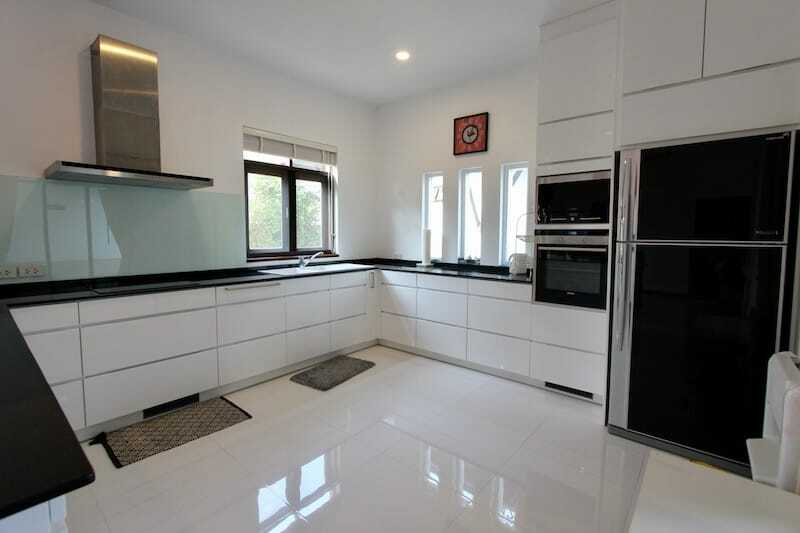 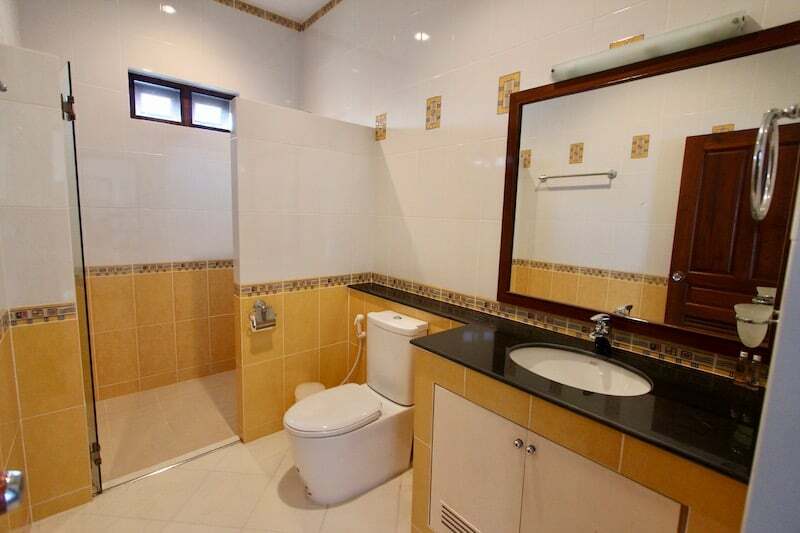 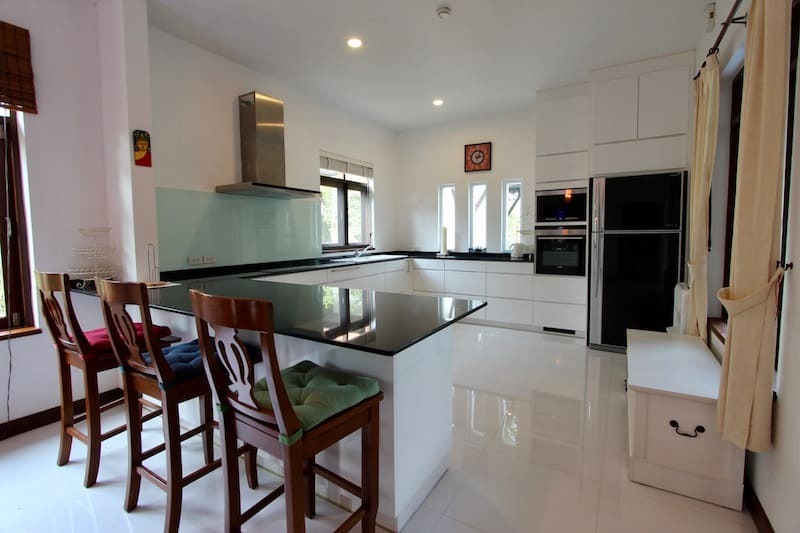 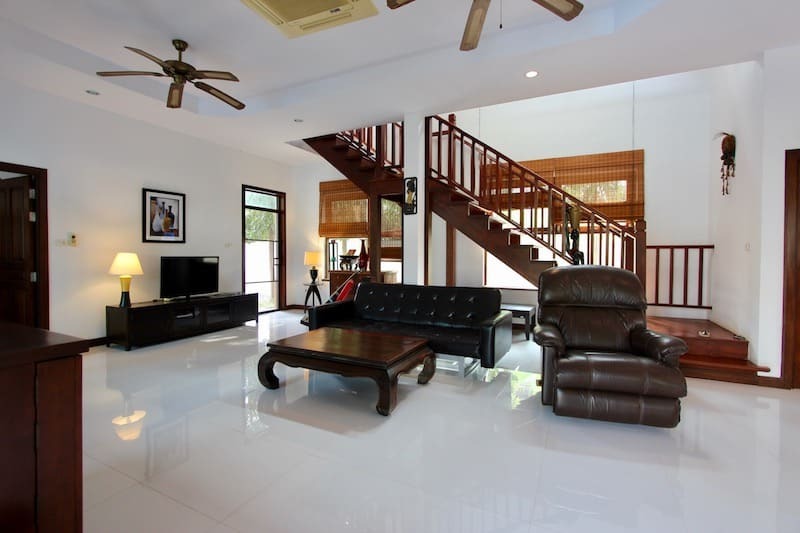 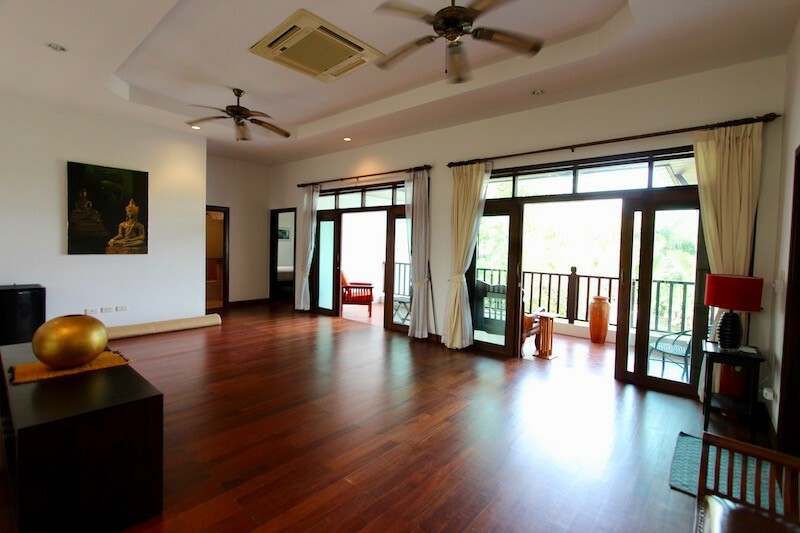 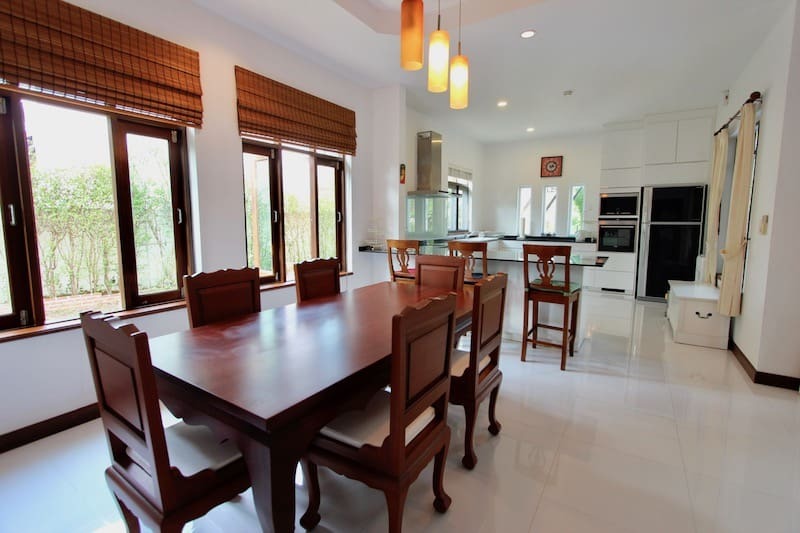 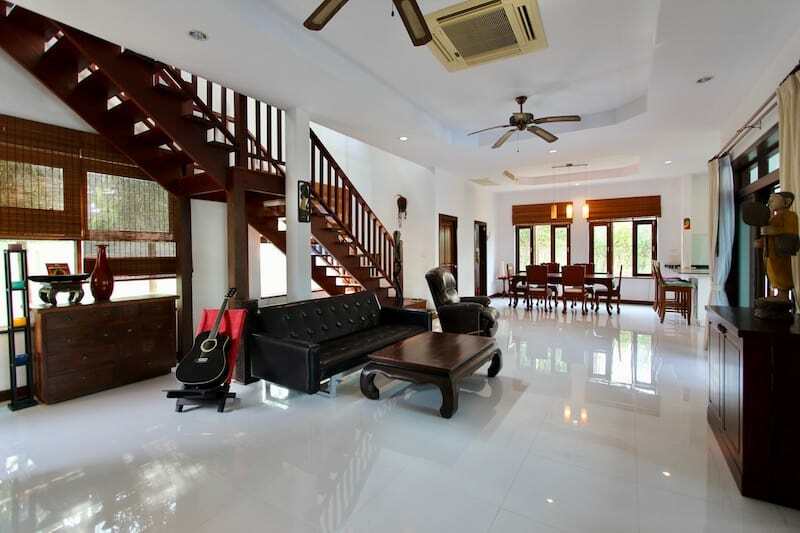 This is a beautiful home located within a small development of similar homes less than 1km to the gorgeous Sai Noi Beach in Kao Tao. 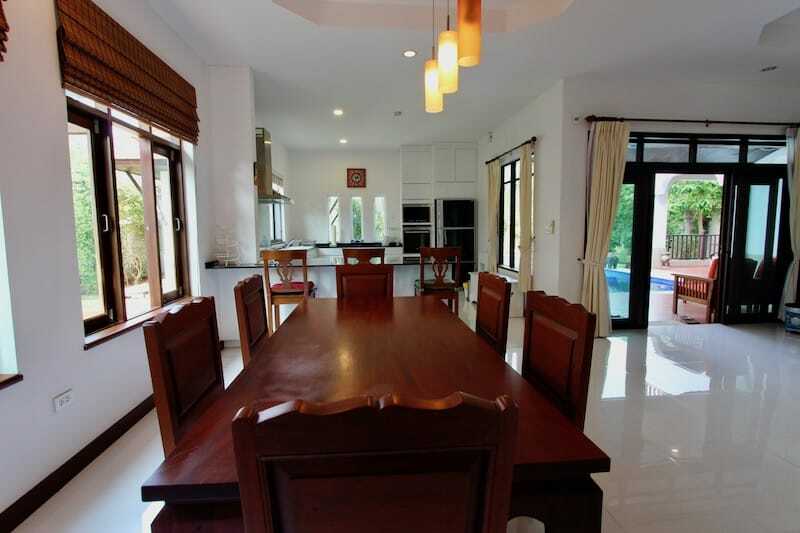 The property consists of a large land plot of 823 sqm of manicured gardens and raised vegetable gardens at the side of the house (land is full Chanote title deed and can be owned freehold); a large salt water swimming pool with jacuzzi (and new salt water chlorinator); a covered carport with storage room; and the impressive home of 330 sqm. 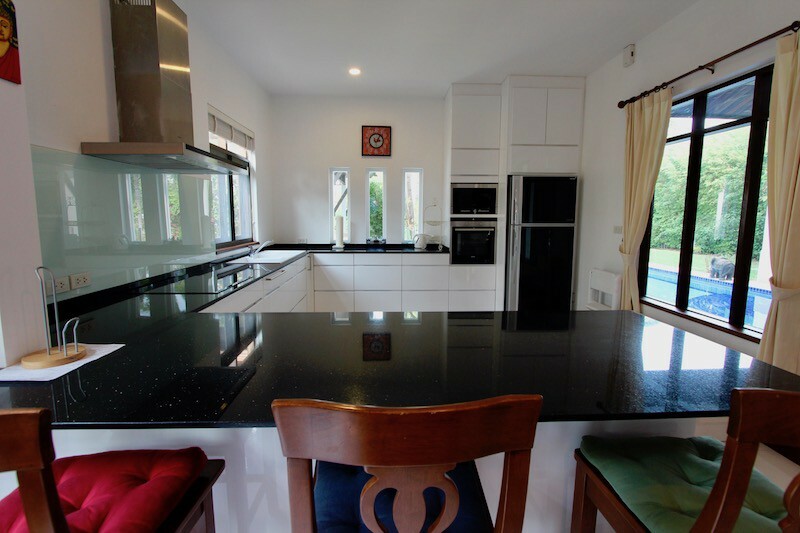 The house has had some recent upgrades, including a high quality, modern kitchen with high gloss cabinets, granite countertops and top end appliances, which are practically brand new. 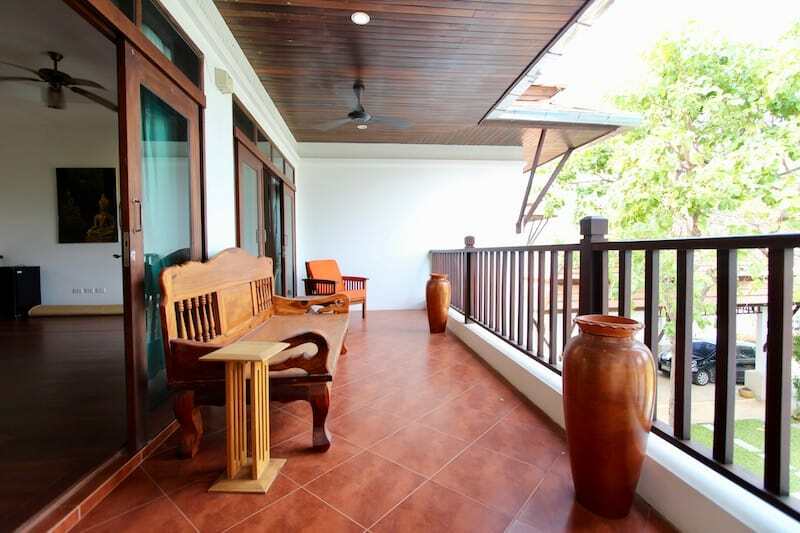 The main floor consists of the kitchen, dining room, spacious living room, a guest bedroom with en-suite bathroom and balcony, a covered terrace, and a laundry/utility room. 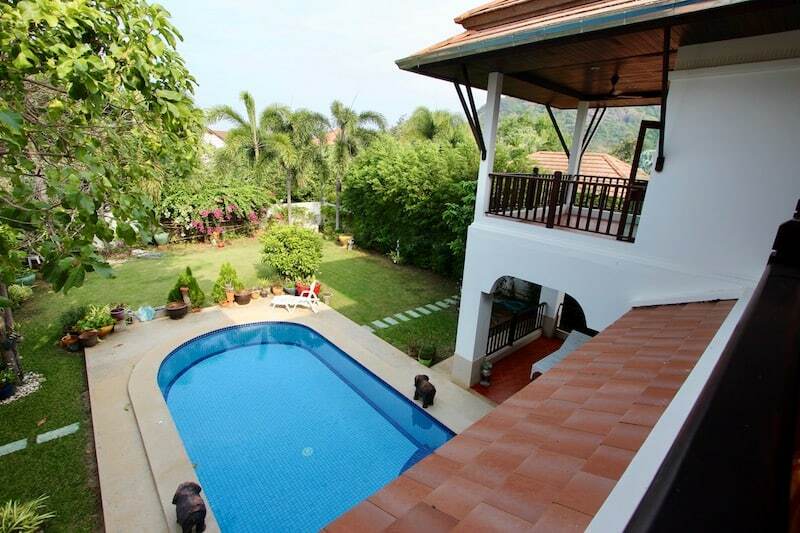 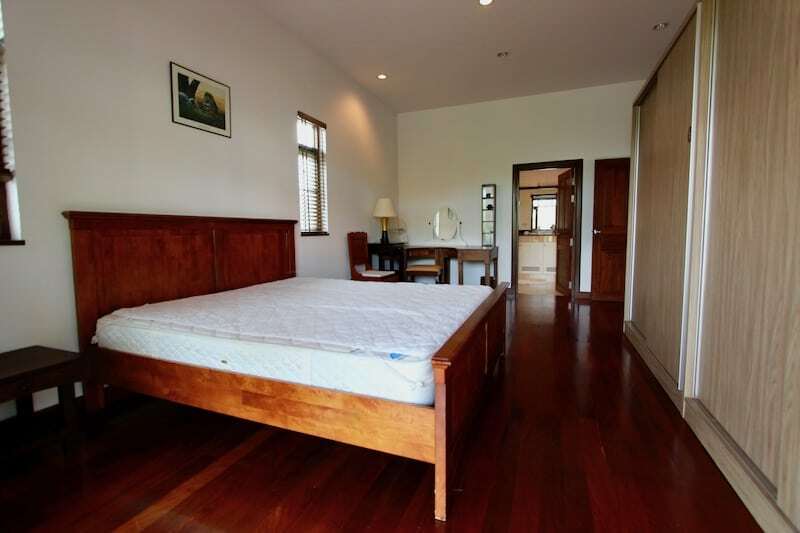 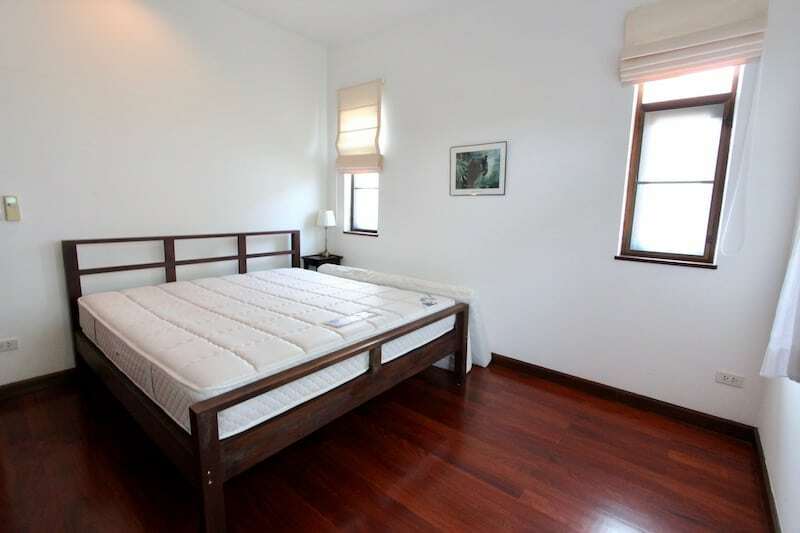 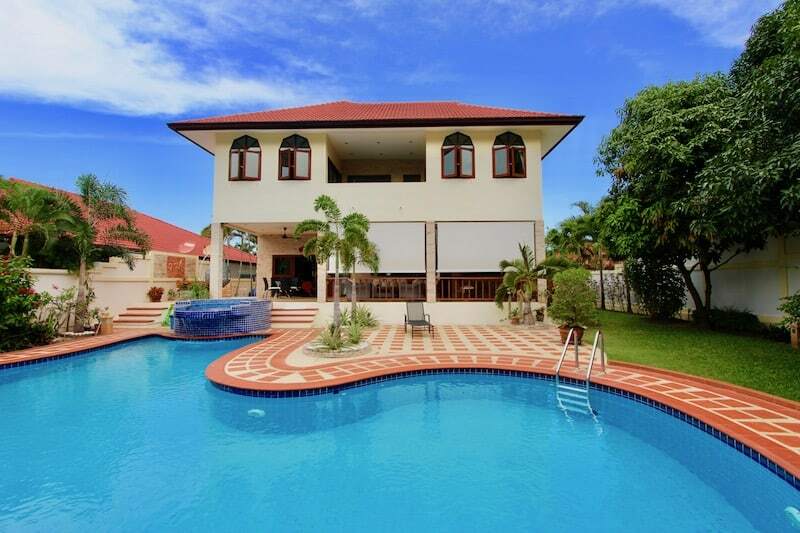 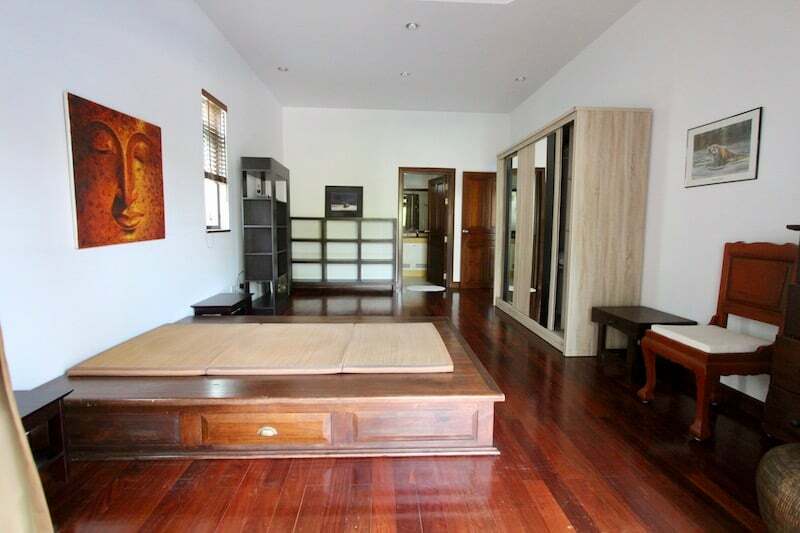 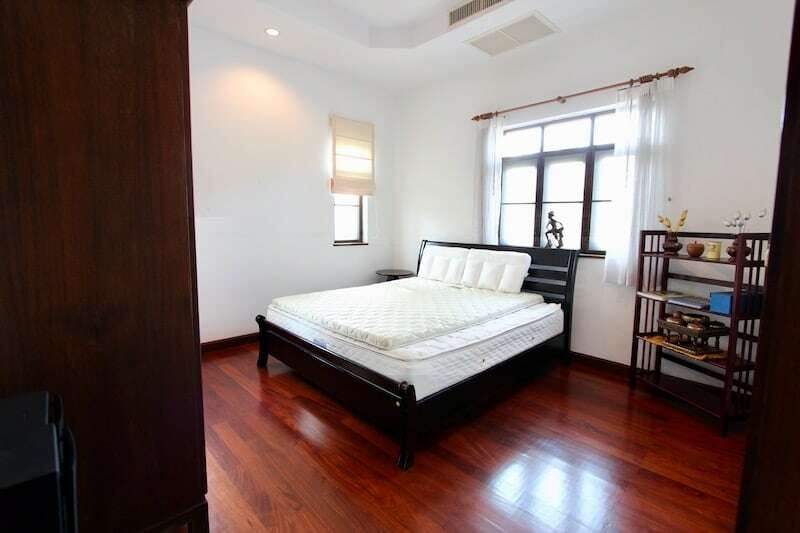 The home is sold fully furnished and is also available for long term rental. 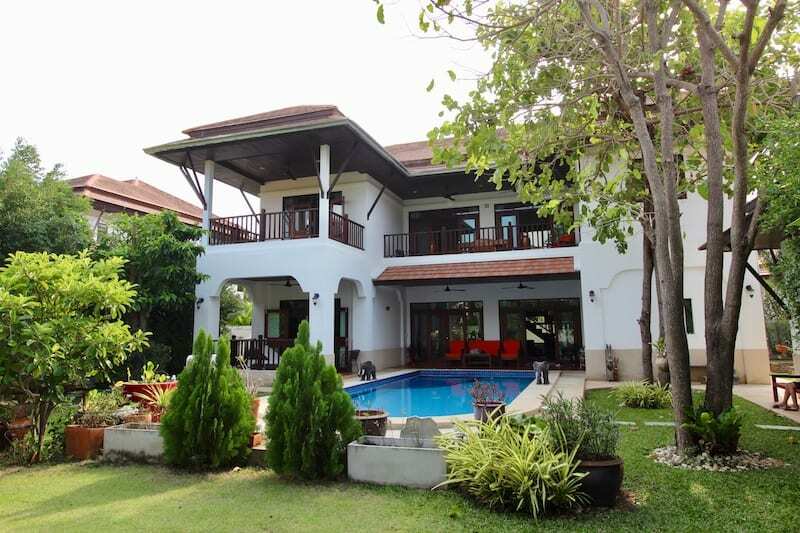 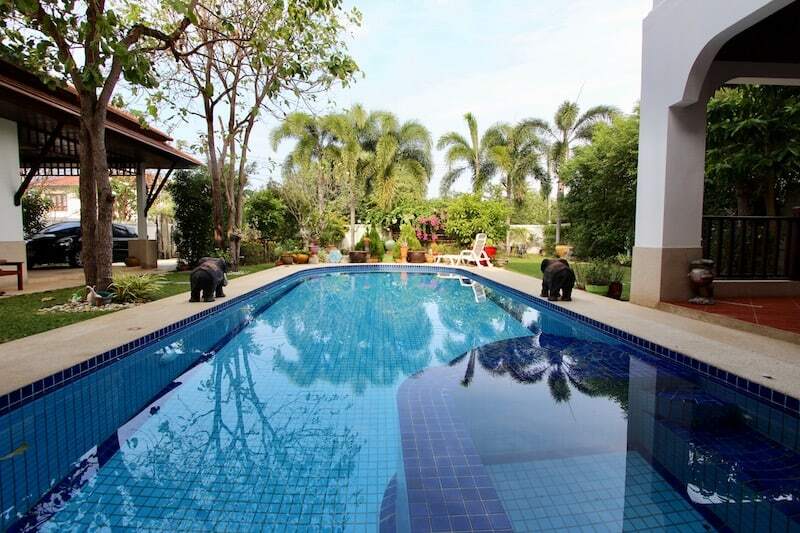 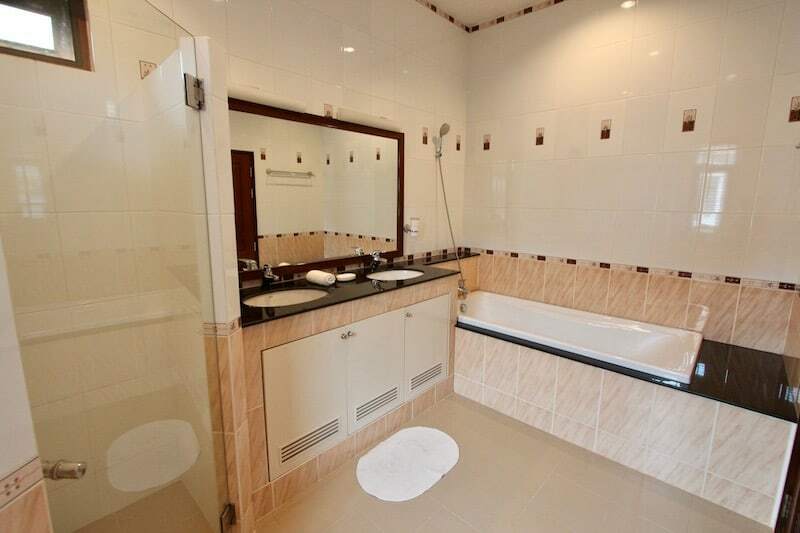 For more information and to schedule a viewing of this lovely Kao Tao pool villa for rent, please contact Executive Homes Hua Hin at +66(0)85.264.2158.